The Yaris' front grille has been updated, and fog lights and a lip spoiler come standard on the LE and XLE trims. 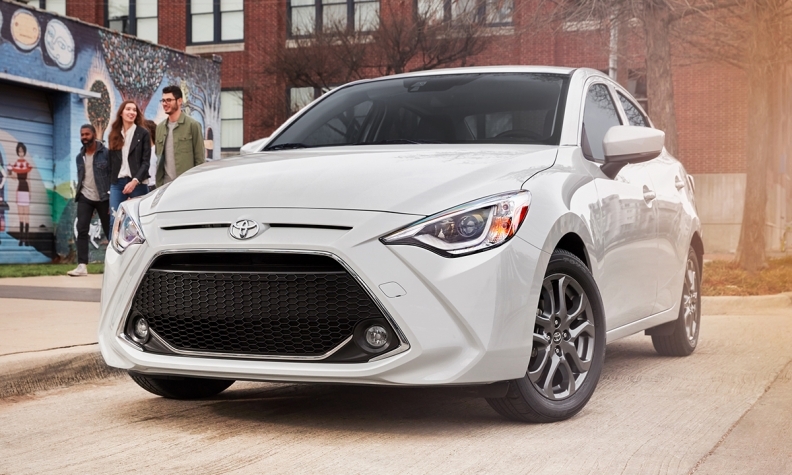 DALLAS -- The subcompact sedan that Toyota inherited from its defunct youth-oriented Scion brand is getting another name change for the 2019 model year along with trim levels that were absent from the mono-spec vehicle since its arrival in 2015. The 2018 Yaris iA will now be just called the Yaris sedan. It arrived in North America as the Scion iA before the brand was shut down in 2016. To confuse matters more, the small sedan is actually a Mazda2 rebadged for Toyota in North America. The three trim levels for the Yaris will be L, LE and the premium XLE -- which will have automatic LED headlights and LED turn-signal indicators, power outside heated mirrors, rain-sensing wipers and illuminated entry -- Toyota Canada said in a statement Monday. The Yaris' front grille has also been updated, and fog lights and a lip spoiler come standard on the LE and XLE trims. The 2019 Yaris sedan goes on sale in the fall and can be had with a standard six-speed manual transmission (6.8 L/100 combined) or the optional six-speed automatic (6.6 L/100 combined), Toyota said.